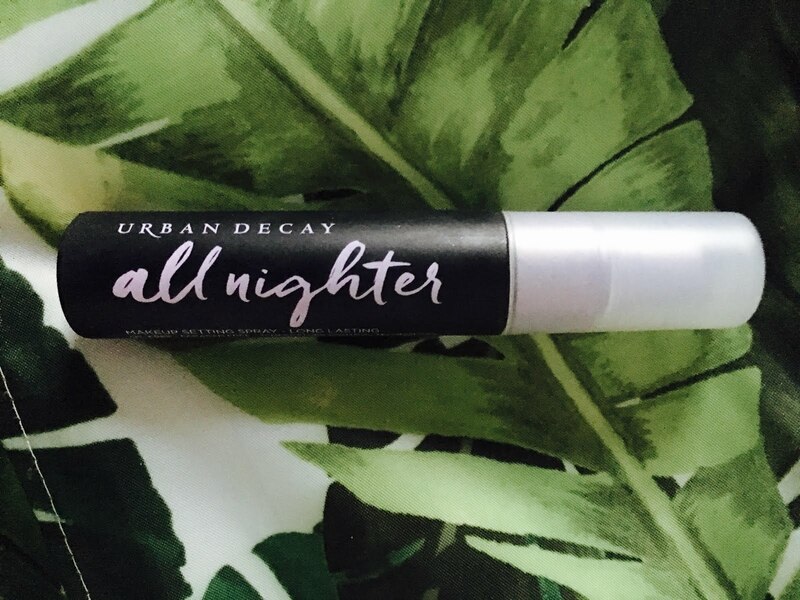 Beauty: Urban Decay All Nighter Setting Spray - Daisy Chains. Hello everyone! I'm back again with another beauty review. I was meant to post this ages ago but I haven't gotten round to it. It's been sat in my drafts for ages and this was a post I started way back last month when I was still living at my old place. Anyways, today I have mixed review of the Urban Decay all nighter setting spray which is known for being a must have product for anyone who loves makeup. Personally, I have gone through many bottles of this setting spray across the years and I've had a very mixed experience with them. The first bottle I got was in 2012 when I was a fresher at uni and it was an amazing at what it did. The old formula kept my make up on through tears, rain and sweat. It was unbelievable! I would plaster some on every night on tour and it my make up would not budge. The formula also kept all my oil at bay as well. However, every subsequent bottle I have bought across the years has seemed to get worse and worse. The formula has stopped keeping my make up in tack no matter how much I shake it. My oil comes through and my make up just slides right off my face after a few hours unlike the old formula. I also noticed that the new formula seems to have a different smell now and it to me, it isn't exactly a pleasant smell. So naturally, I am a bit disappointed with the new formula and I wish it was still as good as the one I had way back in 2012. But for now, this does the job for a good few hours.